Neuroscience gives us insight into the way people think, respond and behave – and at PXsquared, we’ve applied this science to content marketing. Armed with accurate information on audience’s buying triggers, we can design campaigns that truly hit the mark for our clients. No more guesswork, no more trial and error – just a targeted, strategic investment that delivers real results. We follow a very clear, cyclical process to ensure our clients achieve the results they’re after. After defining our clients’ key goals and opportunities, we use EEG, fMRI and eye tracking technology to delve into the mindsets of our target audience. This enables us to deliver a matrix that predicts buying triggers, level of engagement and memory for specific types of content. Using the insights we’ve gathered, we create a tactical content strategy designed to deliver the results our clients want – including lead generation. Our strategy is then brought to life in the form of world-class creative content, designed to hit your audience’s pre-determined triggers. Through strategic distribution channels such as social media, paid search and public relations, we ensure your content reaches the right people – and on an amplified scale. This is all managed by our in-house media experts. Once content is in place, clients receive transparent reporting and analytics that track the success of campaigns and lead generation funnels. This can be used to refine, improve and scale future campaigns. We are the first to apply the principles of neuroscience to content marketing in Australia – by working with us, you can tap into a technique that your competitors are unlikely to have discovered. While Neuro-Content Marketing is a new approach, it’s one that’s underpinned by scientific rigour and accuracy. As a result, you can actually predict results more accurately and ensure your budget is spent as effectively as possible. 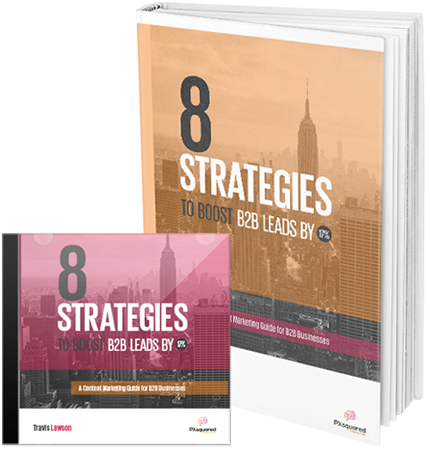 In this guide you will learn the top strategies that will allow you to generate at least 17% more leads within the next month.